The Needs of Others - Description | W. W. Norton & Company Ltd. Reacting to the Past is an award-winning series of immersive role-playing games that actively engage students in their own learning. 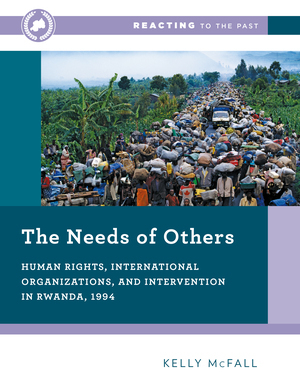 The Needs of Others is set in the UN in 1994, where diplomats learn of violence in Rwanda. Representing UN ambassadors, human rights organisations, journalists and public opinion leaders, students wrestle with difficult questions based on an unsteady trickle of information: Should the UN peacekeeping mission be withdrawn or strengthened? Is the fighting in Rwanda a civil war or something else? Does the UN have an obligation to intervene?